Langley, BC – The Stealth acquired Billings in a trade with the New England Black Wolves on October 25, 2015. He is set to enter his seventh National Lacrosse League (NLL) season. In 2015, he appeared in 8 games for New England, registering 5 goals and 31 assists for a total of 36 points. In 86 career regular season games, Billings has scored 163 goals and 346 assists for 509 points. In 9 career post season games, he has registered 15 goals and 32 assists for 47 points. “I’m excited to have a two-year deal in place and can begin focusing on this team and the season ahead. There is a lot of pressure to perform this year, both personally and as a team. I look forward to the challenge,” said Billings. Billings is the first player in NLL history to record three consecutive 100 point seasons. He was a finalist for the leagues’ Most Valuable Player in 2012, 2013 and 2014 and has been the recipient of the league’s Sportsmanship award in 2013 and 2014. Garrett was also named to the NLL’s First All-Star team in 2012, 2013 and 2014. “We are extremely happy to have Garrett extend his contract, and look forward to having him as a part of the Stealth organization for many years to come,” said Stealth President and General Manager Doug Locker. A Langley native, Billings is looking forward to the opportunity of playing in front of family and friends in his own backyard at the Langley Events Centre. “I will wear the Stealth jersey with great pride. Playing in front of your friends and family in your hometown is something every athlete dreams of,” Billings finished. Billings will get to see his now former team, the New England Black Wolves, in the Stealth’s home opener on January 9 at the Langley Events Centre. 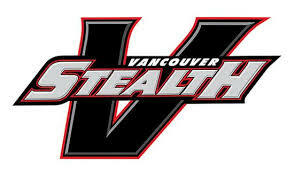 For tickets, please visit www.StealthLAX.com or call 604.882.8800. Be the first to comment on "Vancouver Stealth Sign Forward Garrett Billings"